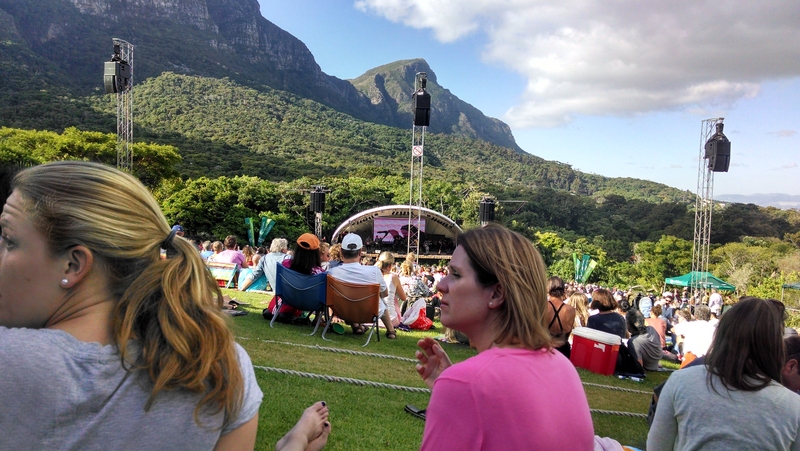 So two days ago we went to a concert at the Kirstenbosch Botanical Gardens. Macstanley performed and it was a pretty fun time with the other students and even the professors as well. As an artist, he is a pretty standard pop rock star with a nasal voice which fit well for what was basically a picnic with music. Honestly, the reason the concert was so much fun was the backdrop. 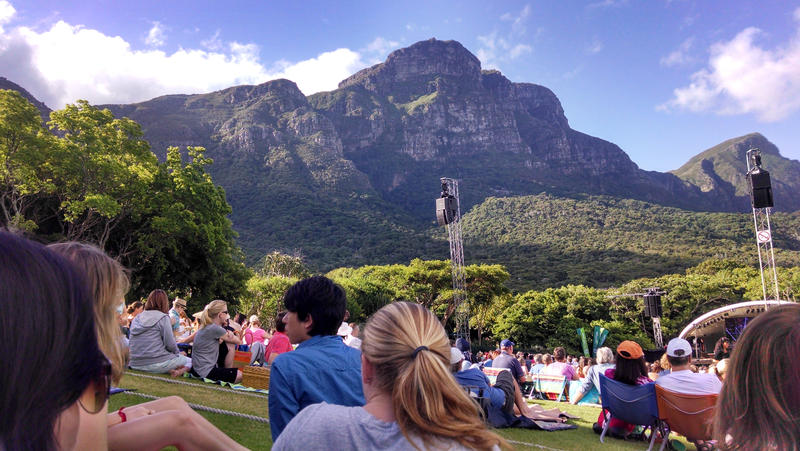 It was a family event with little kids running around and people brought their own food and wine/beer. The group next to us had their own cheeseboard and wine glasses. They really put us to shame, since all we had was a bag of chocolates and a couple small snacks. 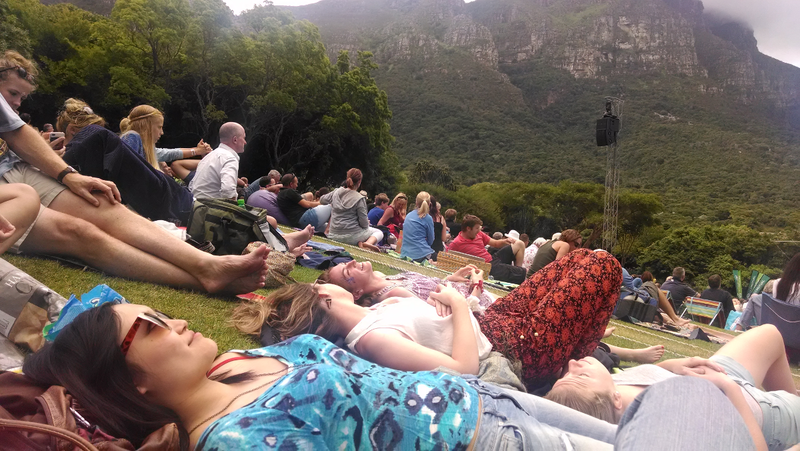 In our group a few friends ended up lying back and enjoying the clouds. 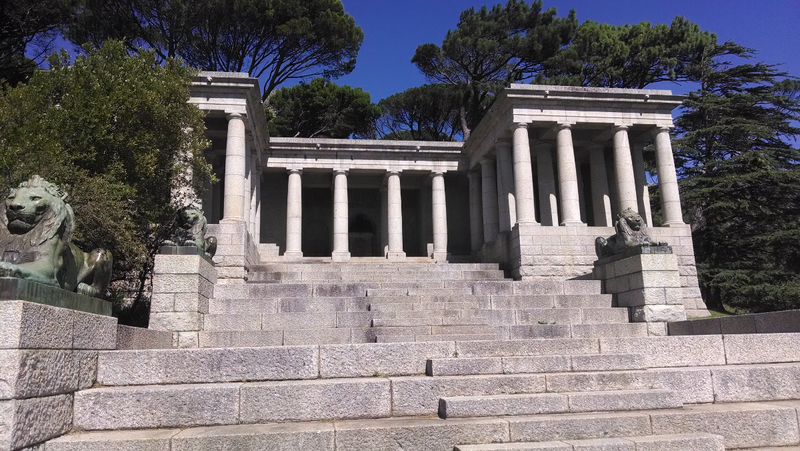 The next day we went on a trip to the Rhodes Memorial. It is pretty obvious that he is quite a self centered character just from looking at the main statue (not of him, but an actual bust of him is inside the memorial itself). We walked with a professor at EGS and talked generally about our independent projects that will focus on environmental or social issues in South Africa. Personally, I'm hoping to either look at the effects of the massive land reclamation in the port area or look at the effectiveness of the transport infrastructure and its effects on the environment in Cape Town. Apparently the port has drastically changed the currents around Cape Town which has caused severe land erosion. Up to now the focus has been on short term grey engineering projects, but this is clearly not sustainable. So now there is a focus on green engineering - keeping the soil from eroding with vegetation, etc. Obviously I have to focus these down a lot, but we don't need to submit proposals for several weeks. Also, this will be my last post for a week or so because we leave for the Kalahari Desert tomorrow. 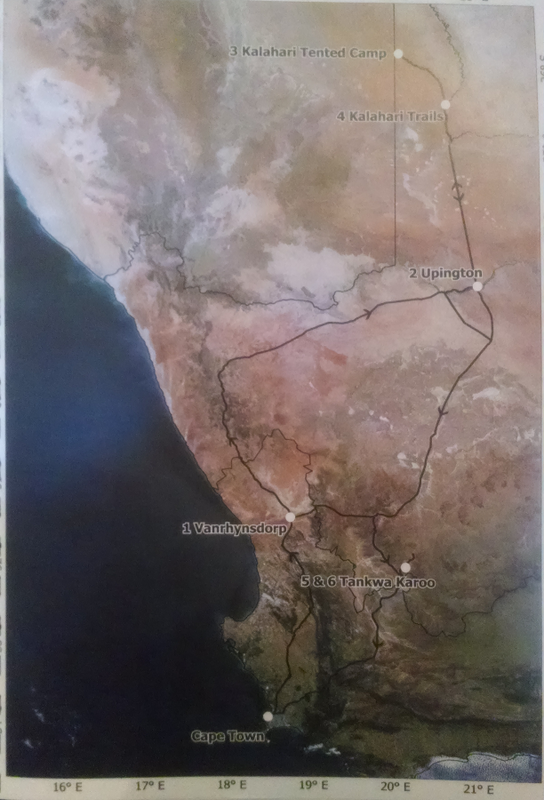 I've put in a map below of my trip. 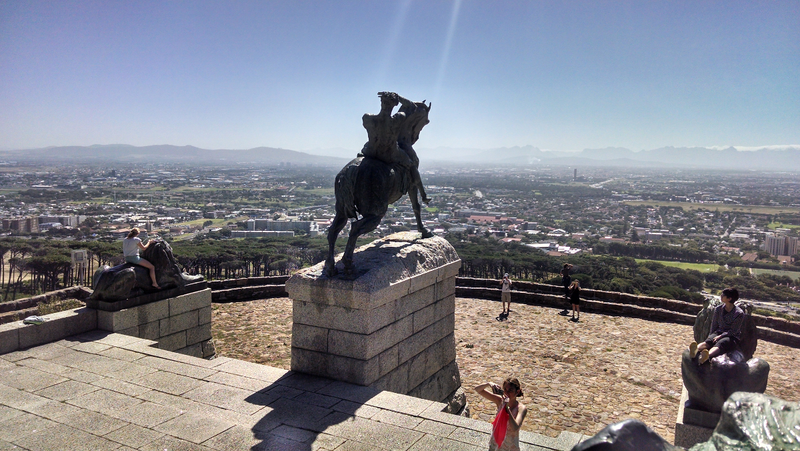 And finally I'll leave you with a picture of the Rhodes Memorial without anybody riding a horse into the sunset.